Grade II listed Bourne Hall, situated in the heart of historic Ewell Village in Surrey and only 30 minutes outside London, Bourne Hall looks down on the headsprings of the river Hogsmill. The surrounding landscaped gardens and lake provide a beautiful, calming, rural village setting for any social or business function. This remarkable modern building with unique architectural interest has been open since 1970. 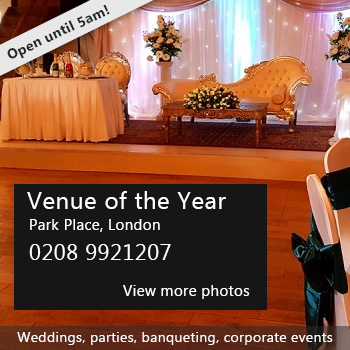 With its variety of different sized halls and rooms, excellent facilities, superb travel links and experienced venue team, we aim to provide the perfect venue for you. 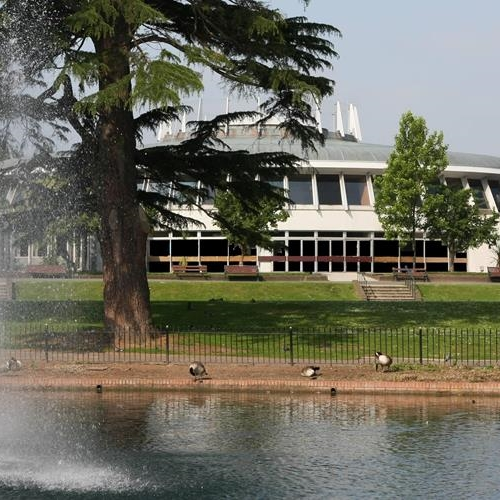 The landscaped gardens, lawns and lake, with a fountain, provide a wonderful backdrop for your events and are particularly impressive for photographs. Bourne Hall has good parking facilities and is within easy reach of Central London and the M25. West Ewell Station is five minutes walk away and provides regular direct rail routes to Waterloo and Guildford. Local buses run to and from Ewell Village. There is disabled access to the building with toilets, library, cafe and exhibition area all on the main entrance floor. There is also a lift facility that takes you up to the Museum and also down to the Main Hall. We're pleased to work with a carefully selected list of Approved Caterers and Bar Providers who can satisfy a variety of tastes and budgets. Please contact us for more information. Availability: Multiple rooms available to hire Monday to Saturday - daytime and evenings. There have been 1 review of Bourne Hall. My experience of trying to book a hall at Bourne Hall was shocking. To this day nobody has got back to me about my query which must have been made in September. If you would like to send Bourne Hall a booking enquiry, please fill in the form below and click 'send'. Perhaps some of the following halls within 5 miles of Bourne Hall would also be of interest?